American Express unveiled massive changes to its UK card sign-up bonuses last night. This will effectively end card churning for most people. Before I go on, I want to stress one thing. The new rules on bonuses do NOT stop you applying for any of these cards. They simply influence whether or not you will qualify for a sign-up bonus when you do. It is also worth remembering that, even if YOU no longer qualify for a particular bonus, your partner or other adult family members might. The concept of ‘families’ has gone for most products. The eligibility rules now span ALL personal American Express cards in most cases. Whilst there are two exceptions, in simple terms you cannot get a sign-up bonus on a personal American Express card if you have held ANY personal American Express card in the last 24 months. Are there any exceptions to these new rules? The British Airways American Express Premium Plus Card is only impacted by the change in the look-back period to 24 months. 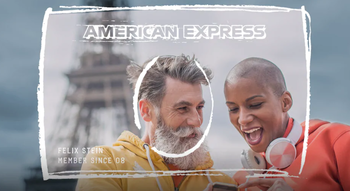 The old rules on eligibility remain – you cannot have had either of the two British Airways American Express cards in the previous 24 months BUT American Express does not count any other card you may have had. The Platinum Card is only impacted by the change in the look-back period to 24 months. The old rules on eligibility remain – you cannot have had a Preferred Rewards Gold, Green, Platinum or American Express Rewards card (all of which earn Membership Rewards points) in the previous 24 months BUT American Express does not count any other card you may have had. Small Business and Corporate products are not impacted at all. The existing rules apply for those. Importantly, the six month rule continues to apply for these cards. Can you summarise this by card? If you currently have the free British Airways or British Airways Premium Plus credit card …. If you currently have Preferred Rewards Gold, The Platinum Card or American Express Rewards credit card …. If you currently have a Nectar or Starwood Preferred Guest credit card …. If you currently have a Platinum Cashback or Platinum Cashback Everyday card …. Discussion of the American Express sign-up bonuses changes continue in a further articles here. What is the best sign-up strategy now for someone with NO American Express cards? You should do as you applied under old terms. This new policy came into effect today or yesterday. Extremely bad news. Is there going to be a knock on effect for visitors to HFP as well?? Personally without amex sign up bonuses the hobby is pretty much over. Well, Amex’s UK market share is about to get even smaller! But more profitable. I know which I’d rather have. It is a sensible business decision which will have minimal effect on their market share. The proliferation of churners and effective ‘printing’ of Avios was bad for the loyal customers. Handing out these bonuses is not free; it is ultimately paid for by the core customer and that became increasingly unacceptable. The existing cards and earning potential are valuable in their own right. Yes i’ve worked for 2 large corporates recently that gave their employées Amex cards for expenses, for décades. Both had dropped Amex and had switched to Citibank in thé past 2 years or so. The 6 months wait period was there in the terms and conditions.. So Amex has reasons to have it like that and now they don’t ! I won’t be earning any fewer points, and such points as I earn will be more valuable. Lots only have enough avios for club world redemptions from a combination of companion voucher and churn. Agreed – it is a prudent business decision which, if it makes the card/points issuer (Amex) more financially robust, then it is to be welcomed. Wholesale printing of avios and MR’s is not good for anyone…..simply leads to inflation which, again, benefits no one. Personally, I have never churned and I’ve been a card holder since 1999. This will likely benefit me through (hopefully!) richer earning for my years long loyalty. However, those who did churn needn’t worry, Amex need customers like any business (but also need to money out of them! ), so there will still be offers to earn xyz points. They are simply refocusing. One door closes, another will surely open. T’was ever thus in this game! Where are all you people doing all your referrals!? Self referral and to the OH, tends to hit your credit rating though, so avoid if you’re thinking of remortgaging in the next year. No issues and I’m a serial churner and burner, self referrer. Makes the gold bonus for spending £10k in a year more attractive, anyone have any idea how long it takes to credit? as have to pay annual fee, but amex refund on a prorata basis normally if you cancel before the year is out. Usually it posts before month 2 statement. Amex just told me on the phone that if you refer someone who has held a card within the last 24 months then you are not eligible for a referral bonus. Now it might not be true but if it is that seriously dents the benefit of the platinum card. I’ve probably maxed out my friends and family the past few years! That cannot be right! It used to be and should still be completely separate. I tend not to trust Amex’s advice so much. That has not been the case in the past for people who broke the 6 month rule. Well I’ve just referred my wife for an everyday card so will see if the referral bonus posts or not. That’ll probably dictate whether I cancel my Platinum card or not. Bad news if it’s true! Wouldn’t be difficult to enforce but Amex would have to make it clear this was the rule. Nothing to indicate that the referrer will not receive the referral bonus if the friend is not eligible for a sign up bonus. I would have expected a much better earning rate or a bigger sign up bonus as with other countries when they stopped churning. i hope earning rate improve on the back of this – thoughts ? If the Plat earn rate went up to 1.5 or had much better bens like in the US (e.g. 5x points on airlines and hotels with Amex travel; USD200pa Uber etc for cheaper $550 = £418 currently), I might actually hold long term. Damn right! American might have a once in a lifetime deal but earning 5 times the points on airlines would encourage us all to keep cards long term. This effectively caps earning rates in the UK in terms of cash back or points to less than 1% and in my opinion nearer the 0.5% mark unless you are looking to grow market share and reduce benefits in future and hoping inertia keeps enough customers to stay. But it opens the door for amex travel partners like Etihad, American airlines, Singapore etc to offer MR points transfer bonuses into their schemes. It’s far to early to make hard plans based on breaking news. We still have to hear from Amex’s competitors: Visa, MBNA who are waiting in the wings. Don’t play the knee jerk game on their terms and think you have to get referrals for Amex, that’s their job. There’s more to come. I thought AMEX own branded cards weren’t subject to the 0.3% interchange limit? A week ago I saw the Amex upgrade offer where you get 20k points for upgrading from Gold to Platinum – would I not get these points then? I also saw this but now it’s gone from my amex account. I’ve still got it. They’re making less of a fuss about it (the link suggesting I upgrade doesn’t mention the bonus), but when you click through and look at the details, it’s there. Which makes sense. The bonus for upgrading isn’t about churning, it’s about tempting you onto a more expensive product in the hope that you’ll like it and keep it – a completely different calculation for Amex. Nutmeg… what else and why aren’t people saying? I applied SPG card yesterday and accepted immediately. The approval email was received 20:30 last night. What’s the best way to find out if I am eligible for bonus? Do the spend anyway, you probably made it before the deadline…and pls report back! Sign up Bonuses and ongoing earnings are not exactly generous in the UK when compared to USA. And no I don’t think more redemptions will become available as points across the pond are still handed out In vast quantities that would put the Zimbabwean Crntral Bank to shame! Shame. Although I do put a reasonable amount of cash through the cards I do not put anything like enough to make it worth my while. I needed to churn cards every so often to make this hobby work for me. It was fun whilst it lasted. I probably wont bother with AMEX now either after I get my next sign up bonus. Hope it doesn’t have to big of an impact on HFP but I suspect it will.